The publishers and companies in the categories below offer commercial curricula to homeschoolers. Some of these companies provide printed materials, while others make materials available online through paid memberships. For additional resources, be sure to check out our compilation of comprehensive curriculum resources and list of websites offering free printable materials, lesson plans, and interactive activities and games. 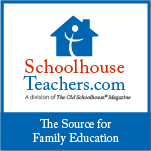 The publishers and companies listed here offer commercial history curricula to homeschoolers. You will find everything from supplemental materials to complete curriculum packages. Some of these companies provide printed materials, while others make materials available online through paid memberships. For additional resources, be sure to check out our compilation of websites offering free printable history materials and interactive activities and games.